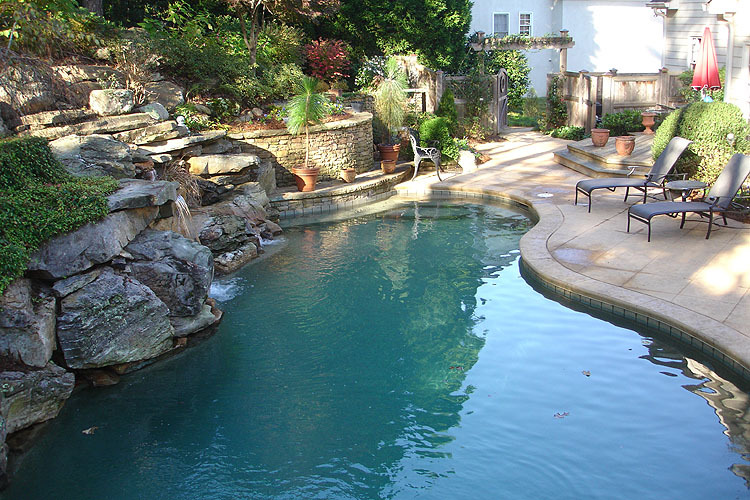 Atlanta Residential Landscape Design Services | Pollock & Associates, Inc.
"At Pollock & Associates, Inc. we enjoy working with our residential clients. We strive to guide our clients through the project from design to construction completion in efficient, organized, professional fashion. Our extensive experience (over 5,000 homes to-date,) in residential projects vastly enhances our abilities to attain this goal." Residential Landscape Architecture at Pollock & Associates, Inc.
Pollock & Associates, Inc. provides a diverse menu of services for our residential clients to choose from. 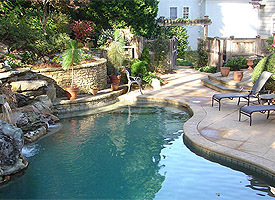 Starting with site planning the home, driveway, walks, patios, decks, etc., to detailed outdoor living area designs of custom pools, waterfalls, outdoor kitchen and entertaining areas perfect for Atlanta, Georgia homes, as well as the preparation of comprehensive landscape master plans. Residential design is a specialty at Pollock & Associates, Inc. and we pride ourselves in providing personalized, quality service to all clients regardless of the size of their project. No project is too small or too large at Pollock & Associates, Inc. Please check out our Residential Landscape Portfolio and contact us with any questions you might have. © 2011 Pollock and Associates, Inc.